These images are traditional impressions of the Christmas season including decorations, ornaments, crafts, and baked items. It is a collection of favorite things that make the season so special. 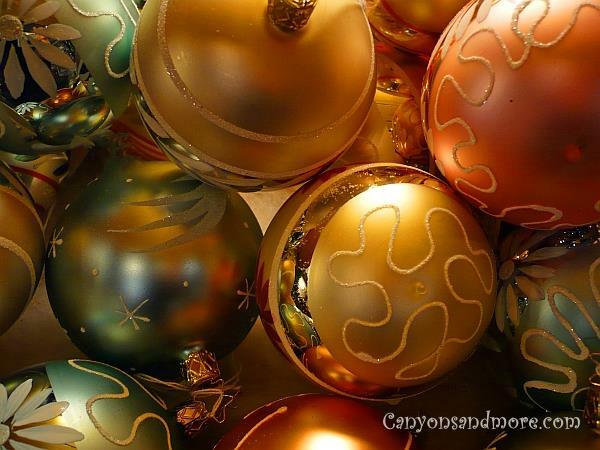 The baubles in the image above look so elegant and soft. The colors are not typical Christmas colors, but they look festive just the same. Lüneburg is located in the state of Lower Saxony in Germany and is already a lovely city to visit on any day of the year. They have a small yet attractive Christmas market located in front of the very impressive city hall. Here you can find everything from typical food specialties of the area, mulled wine and many booths selling all sorts of things to give as gifts. 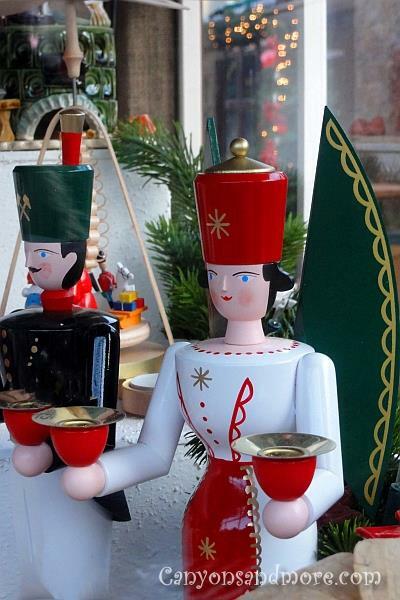 This image shows wooden figures from the Erzgebirge which are beautiful and high quality handcrafted wood products. Isn’t this angel so simple and sweet? This doorway looks so festive for Christmas and yet is not overdone. The greenery finishes it off with such a welcoming effect. Lebkuchen cookies are German spice cookies quite similar to Gingerbread, but do not expect any ginger flavor. 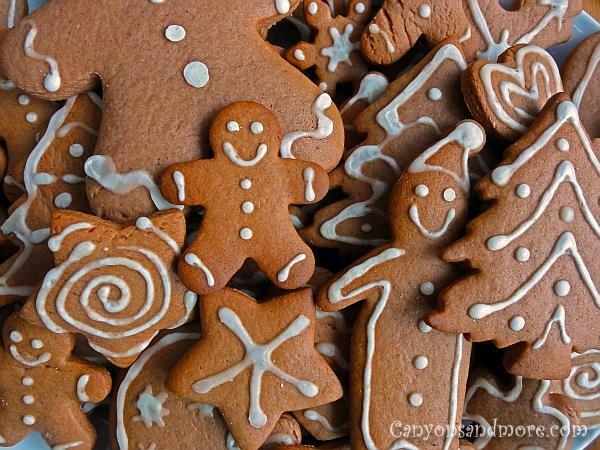 If you would like to make Lebkuchen, click here >>> Lebkuchen Recipe. All ingredients in German recipes are measured by weight and use the metric system. We have converted the measurements into ounces if you have no metric scale. 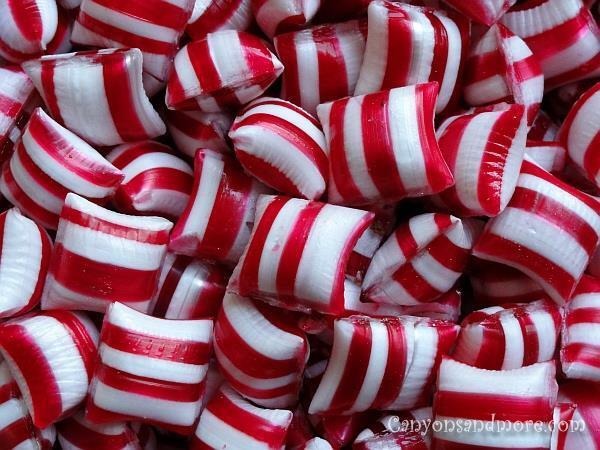 The flavor of peppermint just seems to say Christmas all over. These type of candies are the best with the chocolate filling in the middle. 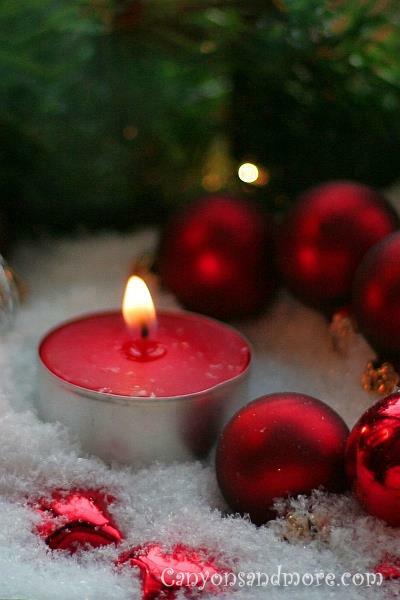 Fill a lantern with fake snow, red and silver ornaments and a tea light for a fast and easy decoration for the holidays. 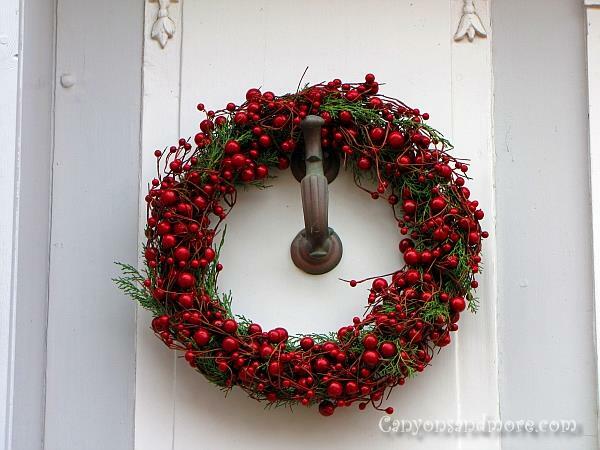 There is no better way to greet your guests to your home during the holidays than a festive looking wreath on the door. 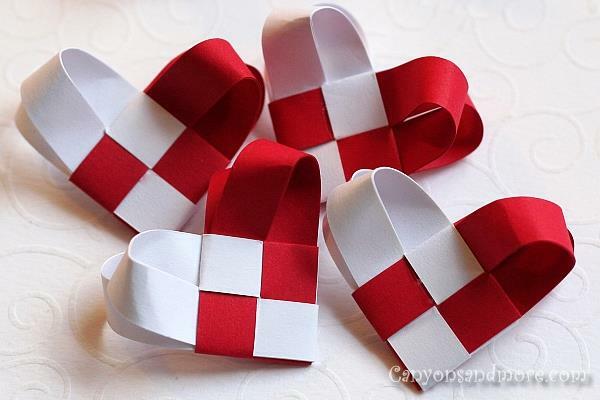 Ornaments in the colors of red and white are traditional for the Scandinavian countries. This paper heart starts off similar to the German Paper Star but gets a new twist to it. Learn to make Woven Paper Hearts and decorte your tree with homemade ornaments to give it extra charm. In Germany, straw stars are common ornaments decorating traditional trees. There is a charming and warm look to them that look perfect on natural, non artificial trees. These stars in the image are quite fancy and require a special form to create them. 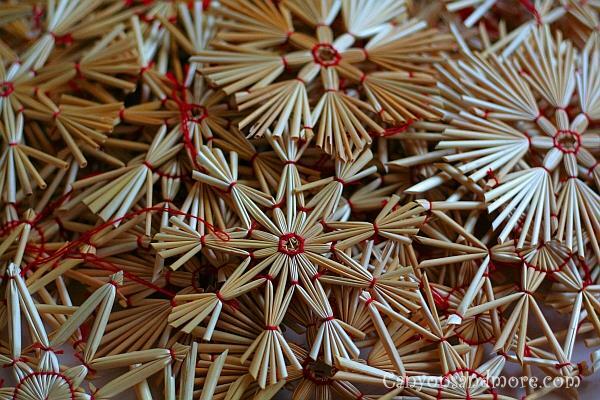 If you are interested in making simple straw stars that requires no form, then you can learn more here: How to Make Simple Straw Stars. 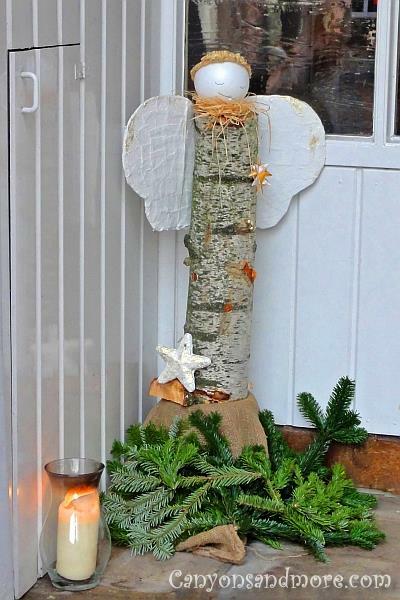 This is a lovely way to decorate for Christmas and winter. Spray paint branches white to give them a feeling of winter. It will take 2-3 coats to fully cover all sides of the branches and you should let the paint dry between each new coat of paint. Then place the branches in a glass vase. 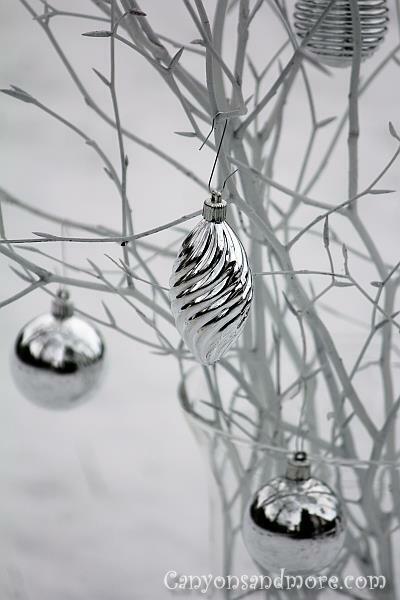 Hang silver ornaments onto the branches to add a touch of elegance to the decoration.